1989 was a momentous year. Across the world, from Trafalgar to Tiananmen Square, voices long repressed began to be heard. Unrest became pandemic. Nation after nation began to shake off the shackles that had bound them and assert their human rights and religious freedom. Those were heady days. 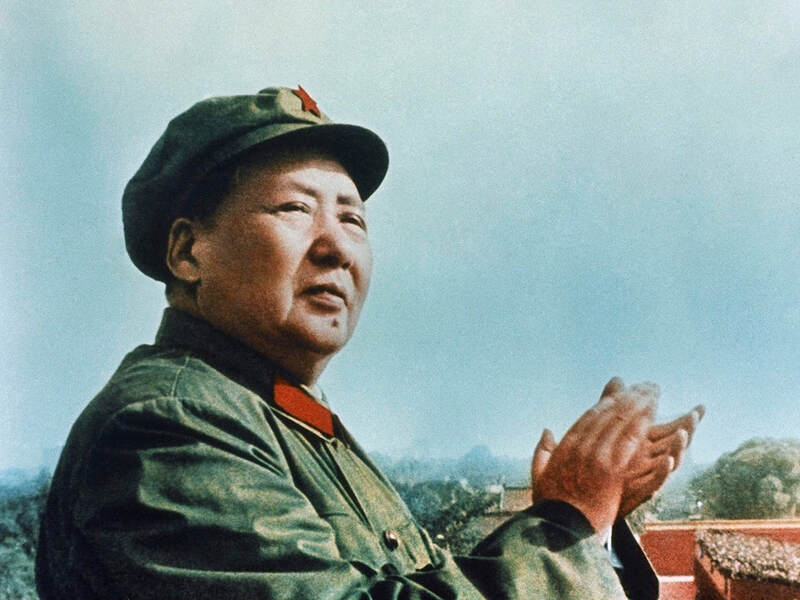 It is important to remember Mao Tse Tung's "Doctrine of Contradictions" which outlines the relationship between pressure and release. Pressure: the hammer swings down for contact with the nail. Release: the hammer is raised again in preparation for another blow. In the geo-strategic world of the Cold War these upward swings had popular names, like détente, perestroika and glasnost. But they were part of the ongoing process of driving home the nail. There was unrest in nations from the Baltic to the Balkans. Early in the year, Yugoslavia showed signs of coming apart at the seams. Labour unrest and out-of-control inflation coupled with ethnic rivalries created widespread dissatisfaction with government. "The land of the South Slavs" was created after World War I from leftover remnants of the Austro-Hungarian Empire. It consisted of six republics, five nations, four languages, three religions, two alphabets, but only one political party, the Communist party. Josip Broz Tito was the glue that held it all together. 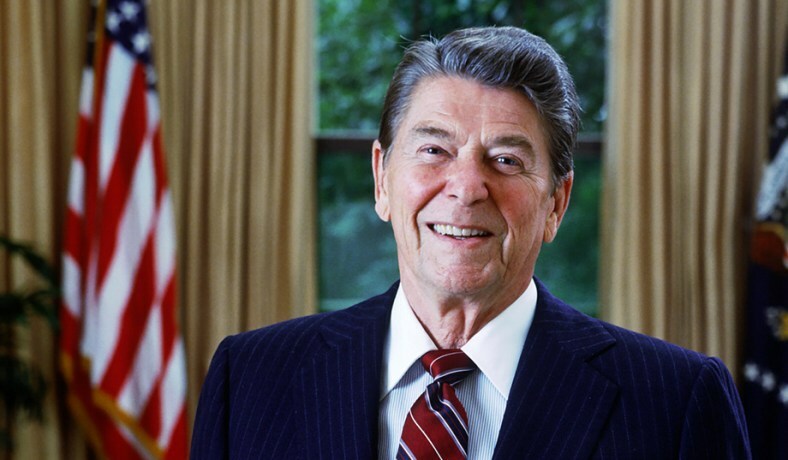 Ronald Reagan's strategy to dismantle the Soviet "Evil Empire" was succeeding. His space based Strategic Defense Initiative (Star Wars), was making Soviet missiles obsolete. US supported freedom fighters in Afghanistan, Angola and Nicaragua were routing Soviet soldiers. The Soviet Union was bankrupting itself attempting to keep up with the new arms race. Mikhail Gorbachev signalled a warming trend in the Cold War as McDonald's opened in Moscow on Gorky Street. Accordingly he was the new darling in Western diplomatic circles. "He's a man I can do business with," cooed Margaret Thatcher. Gorby's new word was Glasnost. By March 1989 even some Russian citizens were beginning to believe the disinformation. Critics emerged from the underground ventilating unorthodox views and even organising unofficial groups that could challenge the power and influence of the Communist Party. They made headlines in the western press, but at home their names were noted. They were brave souls who knew from experience they would be the first to disappear into a remote gulag when the hammer fell again. The Nationalists agitated in the Baltic states of Estonia, Latvia and Lithuania. An unofficial movement called "Memorial", designed to document Stalin's atrocities and commemorate his victims, spread right across the USSR with chapters in 110 cities and towns. It became a platform for all manner of unrestrained discussions on public affairs. By late spring the rising tide of dissatisfaction became an unstoppable tsunami. Some peaceful protests were brutally crushed. In the picturesque old Georgian capital of Tbilisi, along the gracious tree-lined Rustaveli Prospekt, Spetsnaz troops (select commando forces) were sent in the early morning of 9 April 1989, to attack unarmed demonstrators. Scores were killed and over 7,000 injured. French doctors from the respected Medecins sans Frontiers group confirmed, on the basis of 16 autopsies, that the Soviet troops had used toxic CS gas (a 'suffocant' developed for battlefield use) to disperse the demonstrators. Tbilisi was then closed to foreign journalists and became a forerunner of Tiananmen Square two months later. It was a long, hot summer. There were candlelit prayer vigils and mass demonstrations from the Baltic to the Black Sea. Miners went out on strike across six time zones from Siberia to the Ukraine. Estonians joined hands with Latvians and Lithuanians to protest the Soviet invasion of their countries in 1940. In East Germany (DDR), two-thirds of the folk watched West German TV every day. 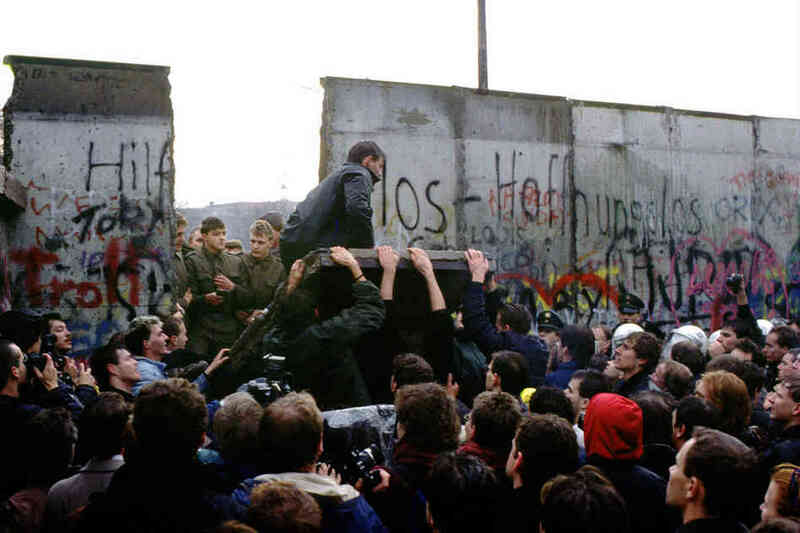 In late '88 many voices were echoing what President Reagan had earlier demanded: "Mr. Gorbachev, tear down this Wall!" By October 1989 we were caught up in the euphoria of crowds demonstrating in Prague's Wenceslas Square. Workers in Czechoslovakia poured into the streets in support of students protesting communist abuses - not exactly what Marx had in mind when he said, "Workers of the world unite!" It was all very exciting. By November communist governments were toppling like dominoes. People power seemed to be back on the cobbled streets of East European capitals. 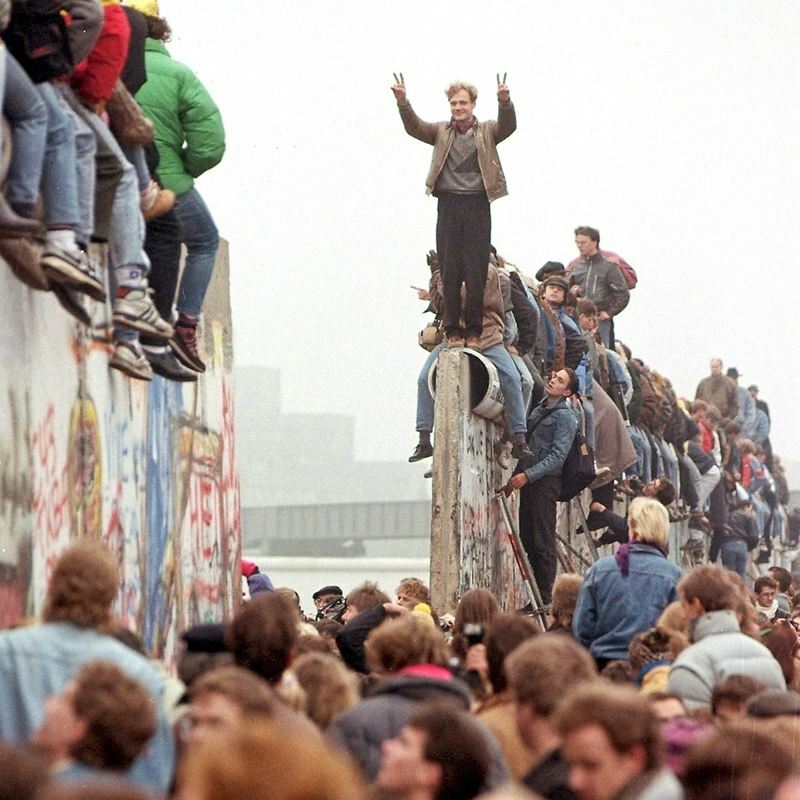 By mid-month the Wall had cracked and media anchors were doing stand ups against the background of a human haemorrhage breaching the Berlin Wall. We worked behind the Iron Curtain in most of the East European countries during 1989, but Romania was our principal focus. My son-in-law, Dr. Peter Hammond, travelled with me in April and November that year. Together we preached the Gospel and saw first-hand the building of tension and growing expectations of the people. 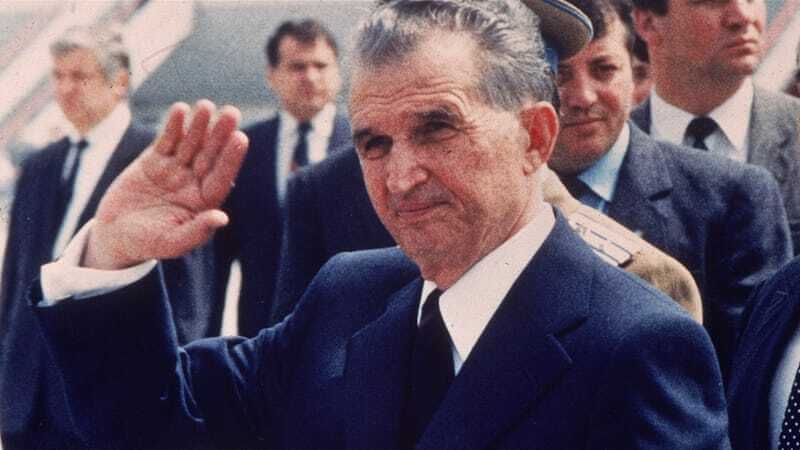 In many ways Romania's former dictator, Nicolae Ceausescu, was like King Belshazzar. He lived in a palace, like a king, when all around him there was poverty and privation. He knew about God, but did not honour Him. Pride caused him to "Set himself against the Lord of Heaven." He surrounded himself with the Securitate, a highly privileged clique of thugs, sworn to defend him until death. Together they feasted while the majority were hungry. They drank wine and praised the gods of materialism. Unlike Belshazzar, the tyrant Ceausescu did not see the handwriting on the wall. If he had, no doubt he would have cancelled his state visit to Iran in December 1989 and stayed home in Bucharest. The rest is history. The demonstrations began in Timisoara, the Garden City of western Romania. Ceausescu instructed his troops to maintain order, then he left the country for a 3-day visit to Iran. So conditioned to following explicit orders from the dictator, no one seemed to know quite what to do in his absence during the rapidly deteriorating situation. Previously the communist government had told the courageous pastor of a very large church that he was fired and must be exiled to a small village several hundred miles away. In response the congregation surrounded the church and refused to let the authorities in to arrest and evict him. By the third night of this standoff the authorities were so furious that they threatened to open fire on the people protecting the premises. One man lit a candle and passed the light to the next person. Slowly the crowd of around 3,000 began to disperse and march down the street toward the main public square in the centre of town. People, carrying lighted candles, poured out of their apartments in the side streets along the way and joined the march. Soon there were over 10,000 candle-bearing citizens converging on this central public target. Reaching the main town square someone smashed the windows of a government bookstore. The crowd rushed in and pulled out all the books by Marx, Lenin and Ceausescu and set them on fire. One prominent pastor commented, "Now for the first time, the writings of Marx provide light!" By now there were 100,000 people in the Town Square shouting, "Down with Ceausescu!" and demanding, "What's in the dollar shops, now in our shops!" a reference to the select stores for foreigners and Party leaders where goods could only be purchased with foreign currency. The beautiful old Opera House dominated the top of the Town Square. From its balcony the Pastor of Bethel Baptist Church led the massive crowd in the Lord's Prayer. As the situation got out of hand, Elena, the tyrant's Jezebel-type wife and First Deputy Prime Minister, ordered the total annihilation of Timisoara, a city of over 300,000 inhabitants. The Army refused to carry out the order. Many soldiers were shot by the Securitate, who then commandeered army tanks to crush the crowd. However, because Ceausescu did not trust the Army, he had kept them low on both ammunition and fuel. 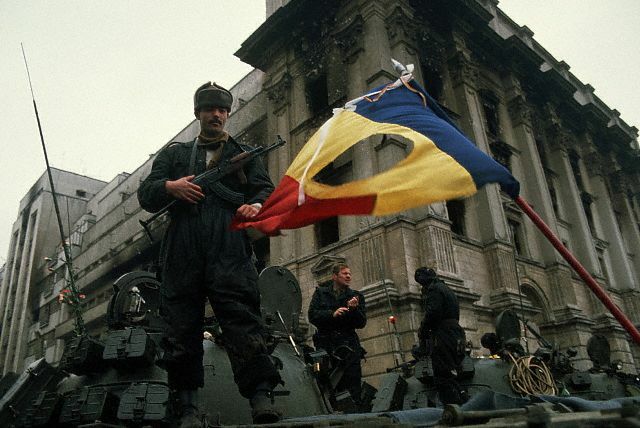 As the Securitate drove toward the centre of town the tanks ran out of diesel and stopped. Just before Christmas 1989, plan "M" was activated. It was a senseless insane idea to punish the entire nation if ever the nepotistic Ceausescu family were about to topple. The total destruction of Timisoara was an example. Another plan was to poison water reservoirs to kill entire populations. A group of communists were killed near Cluj-Napoca as they attempted to blow up a dam that would have virtually destroyed that beautiful Transylvanian University city. 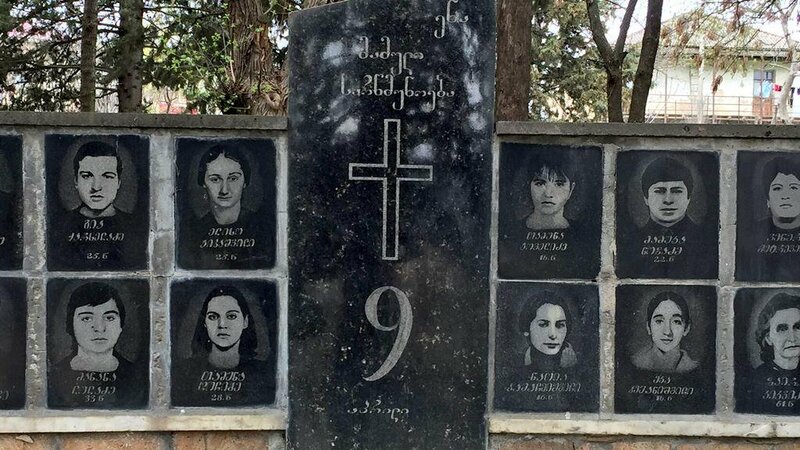 Thousands were killed by the communists before the Romanian army switched their allegiance to the people in an attempt to overthrow the communist dictatorship. It was important that justice be swift in the military trial and execution of the Ceausescu’s. Every moment's delay increased the risk of rescue by the Securitate, who were homing in on a radio signal emanating from his wristwatch. As long as he was alive the awful slaughter continued. As soon as the word went out, along with pictures, of his death by firing squad the killing virtually stopped. Romania was the last country in Eastern Europe to change. Their Miracle Revolution took place in mid-December and Nicolae Ceausescu was executed on Christmas Day. You can imagine the peasants' joy in villages earmarked for destruction under the Ceausescu regime. For some the reprieve had come just hours before the bulldozers were to have begun their awful task. For the village of Vladiceasca and several hundred others, it was already too late. Today there is only a barren snow-covered field where for generations a thriving little community had lived and loved and worked together. We had not scheduled our trip to Romania in January, one week after the Christmas Revolution. God had. We did not have the means to go. God did. Absolutely everything fell into place. When the Lord gave us the green light, we hit the throttle. There was still sporadic gunfire in Arad, two streets over from where we were staying, but it soon finished. We had a harvest of souls everywhere we preached. There was a sense of urgency to the hour. Many Romanians said, "It's now or never!" We met with officials in the "new" government, some of whom had heard me preach in local churches over the years. One governor said, "You have been our friend in the dark days, we will not forget you now." Before the dust settled when the Berlin Wall came down in 1989, I wrote these words: "Islam will become increasingly militant. It will eventually replace communism as the great threat to freedom." This is not the time to disarm; if we prematurely beat our swords into ploughshares we may wind up ploughing for those who kept their swords. In Luke 18, our Lord taught us to always pray and not give up. Even an unjust judge will give way to persistent prayer and pressure. Publicity provides protection to the persecuted. The Iron Curtain was torn down because of the tenacious faith, resilient courage, faithful Gospel preaching and persistent prayers of God's people. Truth conquers. Rev. Bill Bathman was the Chairman of Frontline Fellowship. He served as a pioneer missionary for over 67 years, evangelising throughout Eastern Europe. He is the author of Going Through andGoing On.